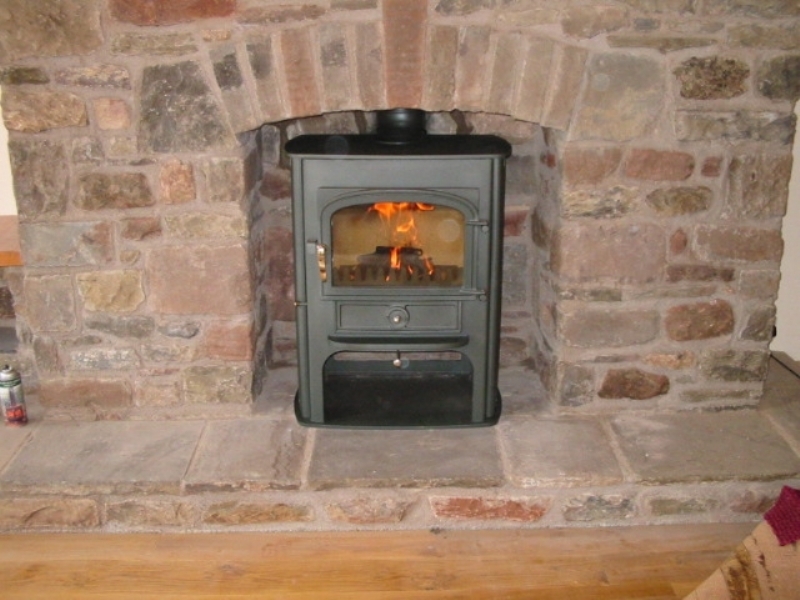 Clearview Solution in a brick fireplace wood burning stove installation from Kernow Fires. 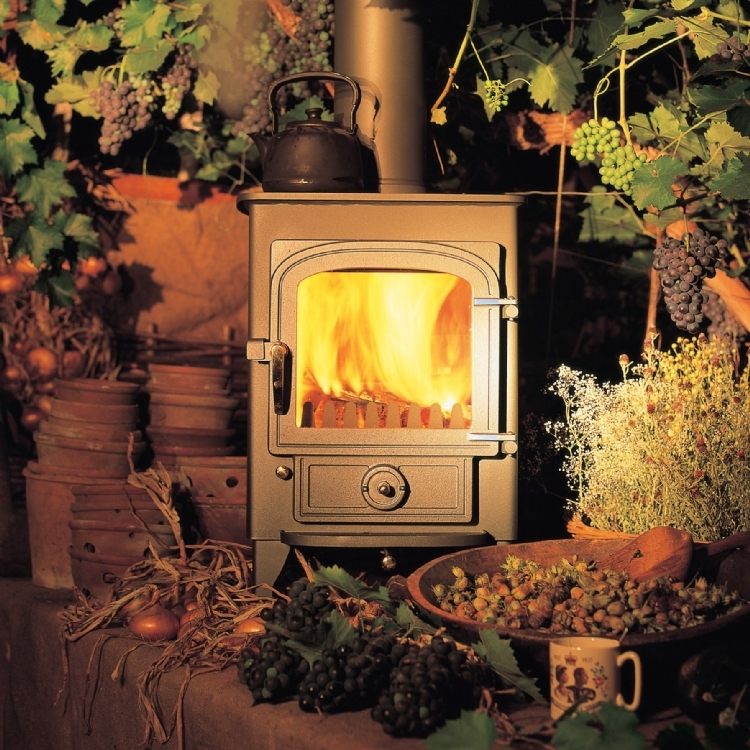 The Clearview Solution comes with a log store and has an output of 5kW. 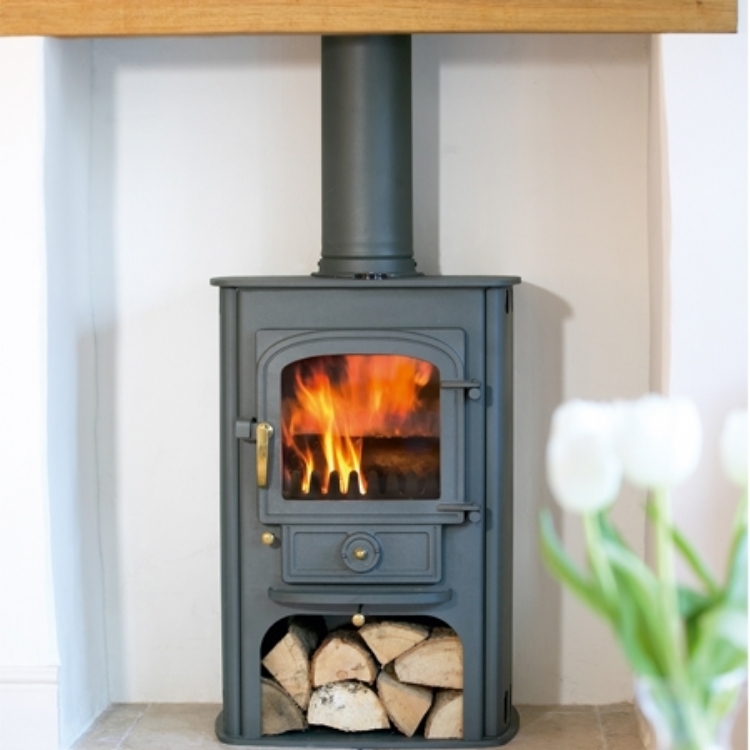 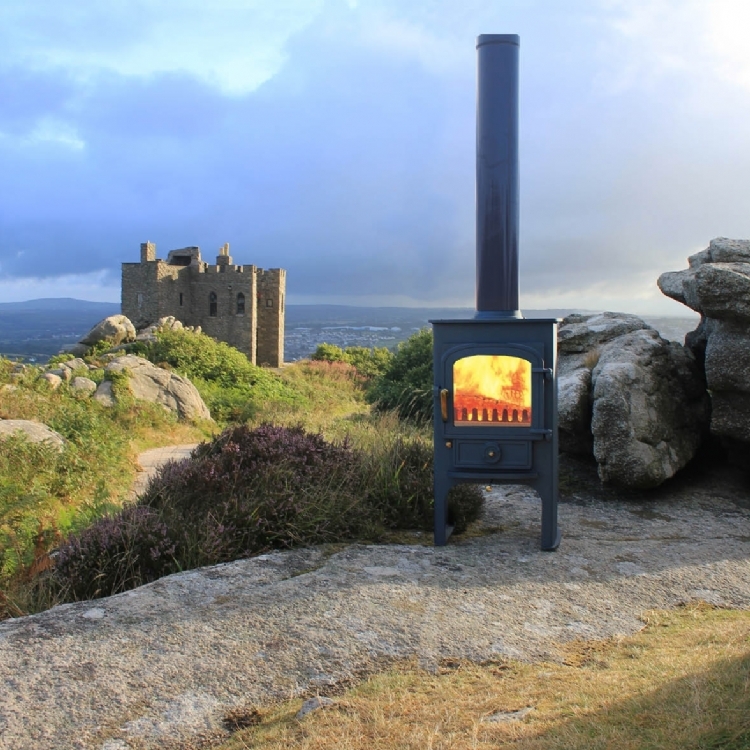 It fits well into the original opening and is a solid multi fuel fire.